As I sat in Calgary for the first week of May and watched the snow falling all I wanted to do was escape to sun, sand and water. I started looking through old pictures for inspiration and was drawn to my Greece pictures. The Greek islands are some of the most beautiful places in the world with breathtaking sites, beautiful scenery and a unique Mediterranean landscape. 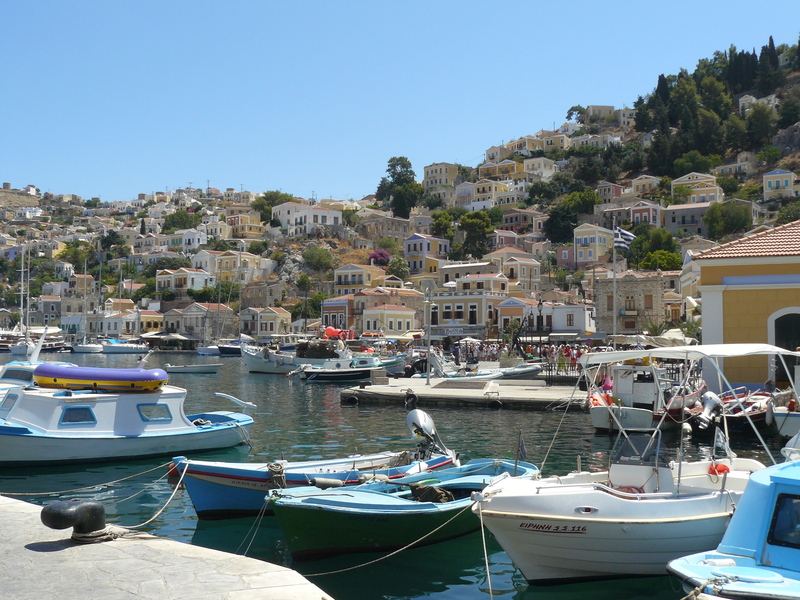 Symi island below is a great day trip from Rhodes. There are also so many islands to see that no matter how many times you go back you will find something new. Plus if you are a history buff there are few better places in the world to feel like you are walking through history at every turn, even on the smaller islands, as the old roads, buildings and ruins remain. If you are planning a trip to Greece, I found this great website with lots of information to plan a trip to any of the islands. There are great tips on tours, places to stay and unique features of each of the islands. 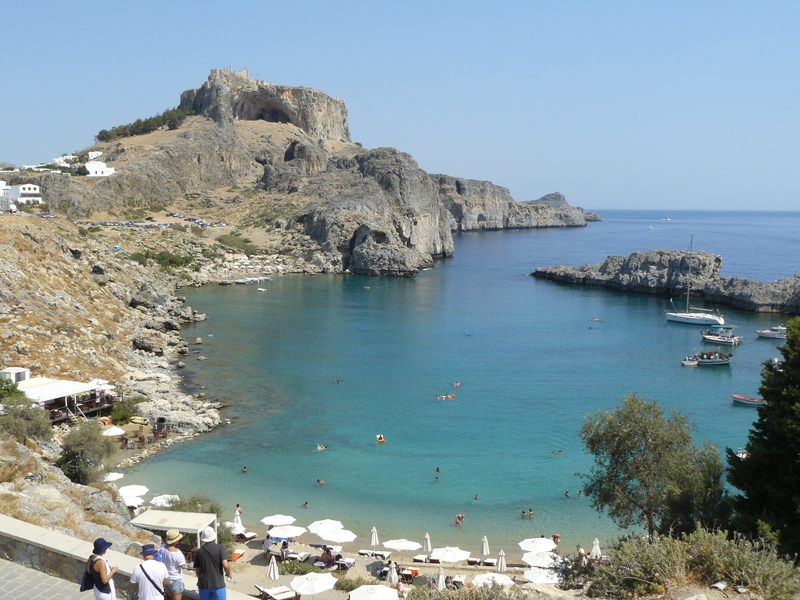 The cab tour of Rhodes was a great recommendation and it was a highlight of my trip. 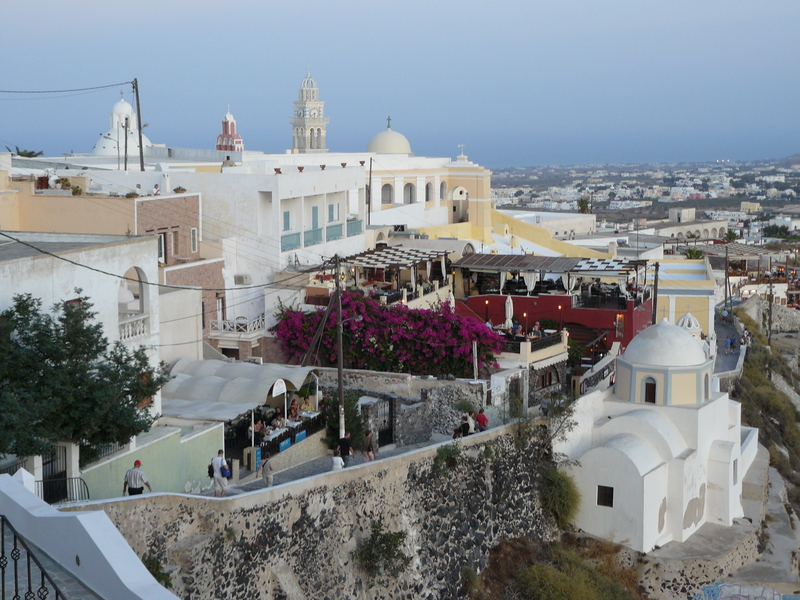 The tour was all day and the driver took us around Rhodes from Rhodes City to Lindos. As the islands are so close together, it is easy to take a ferry from island to island, or do a cruise of the area so you can see different places even with limited time. My first trip to Greece was on a cruise and it allowed me to see the sites of Athens and visit two of the islands in only a week. 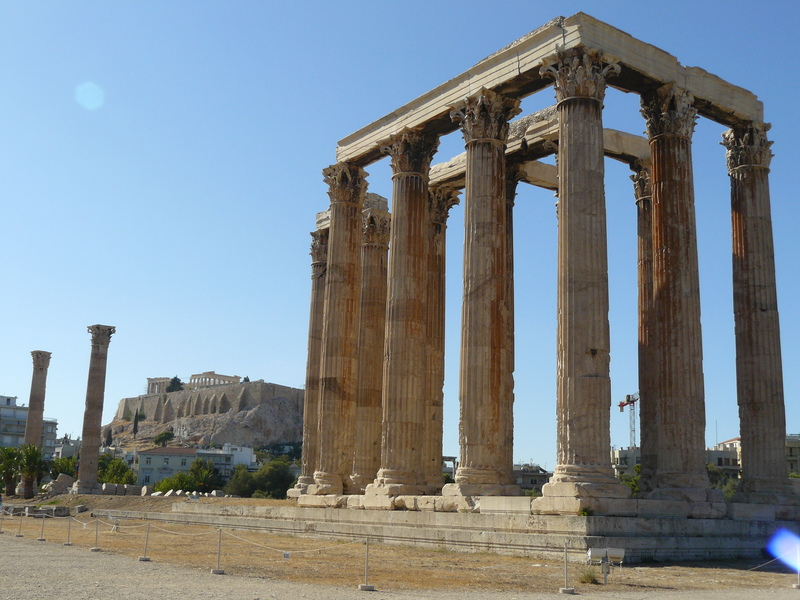 View from Temple of Zeus towards Parthenon. 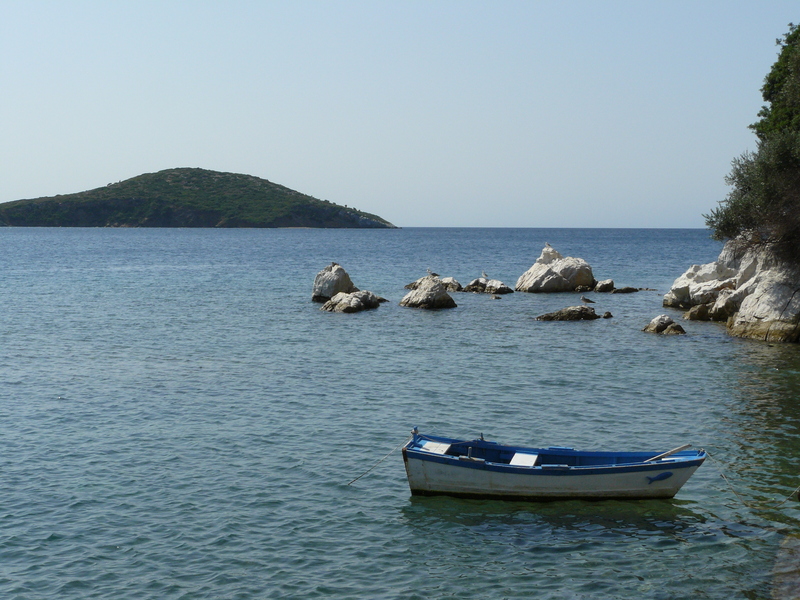 On my other trips to Greece I focused on one island area. In Rhodes I stay in Rhodes City, explored the entire island and then did day trips to islands that were close by. 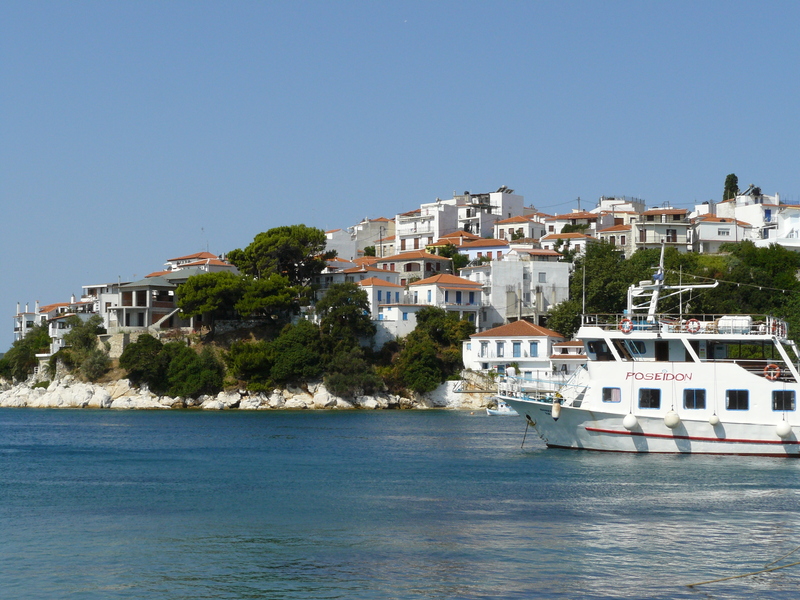 In Skiathos I spent the entire time in Skiathos relaxing at a resort with friends and touring the town. 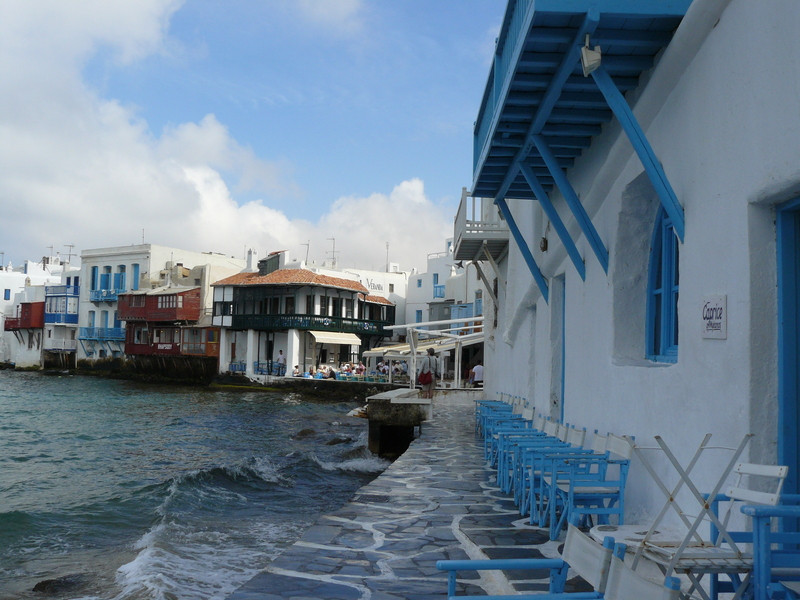 Regardless of if you are looking for an active vacation or relaxation by the beach, Greece is a great place to vacation, especially as an escape from the cold and grey. If only I was heading there tomorrow! Guess it will have to be only daydreams for now.